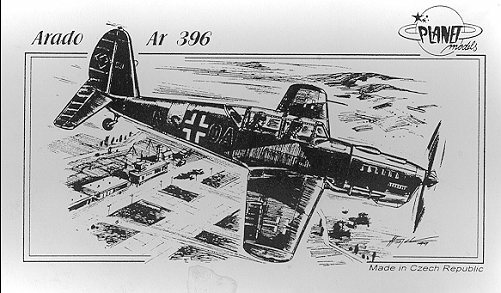 The Ar-396 was designed to be a replacement trainer for the Ar-96. The major stipulation for designing it was to reduce the amount of metal in the aircraft. Production was to take place in French factories, but the progress of the war made that impossible. Construction was therefore moved to Czech factories. While the prototype and several examples were constructed there, the war ended before they were able to be brought into service. Postwar, 200 examples were built in France by SIPA. These were used for training and as COIN aircraft in North Africa. Planet Models resin kits have always come very well packaged and this one is no exception. The clear plastic bag is divided into several sections. This allows the large, heavy parts to rattle around without damaging the smaller, more fragile bits. 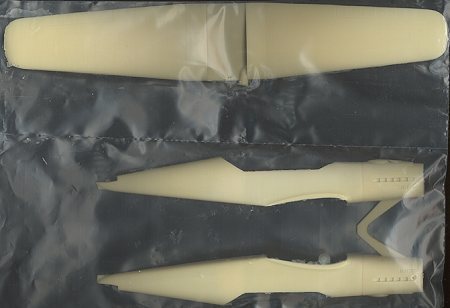 In this case, there are separate compartments for the large, one-piece wing, the fuselage halves, the rudder/tailplane/cockpit floor, the two vac canopies, and the several wafers, themselves individually packaged. Detailing on the parts is quite good. There is even detail on the fuselage sidewalls. 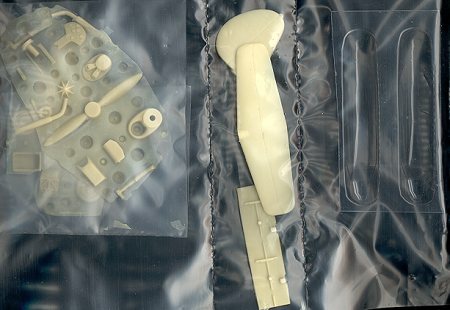 It is good to see that Planet Models is finally putting two vacuform canopies in their kits and I do hope that this is a major policy change. 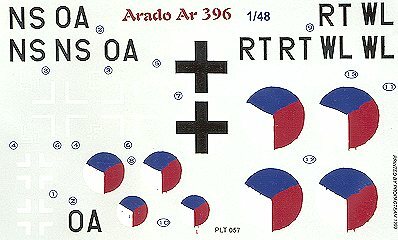 There is also a decal sheet for two aircraft, one German and one Czech. According the the instructions, this Czech one represents an aircraft used during the Prague uprising of 5 May, 1945. Maybe that explains why they are so poorly printed. At least the Czech roundels are very poorly done with few straight lines and lots of color bleeding. I'd like to think that this is supposed to represent markings that were hastily brush painted on the aircraft. Maybe someone reading this can tell me. The instruction sheet is just as brief as before, though this time there isn't even a parts breakdown diagram. One gets a brief history and part of the painting directions on one sheet, the other part of the painting diagram and the interior construction on another, the third section is an exploded view of the rest of the construction and the fourth section is a 'catalogue' of other Planet kits. The kit itself is packaged in the now common white paperboard box. I look forward to building this kit. There are several reasons. One is that I know darn little about this aircraft, so researching it will be fun. Secondly, it is a recent release and so is probably to a higher standard than earlier kits. Finally, it is in 1/48. I can only hope that this trend continues. Maybe Planet can start doing a few conversion kits. One for a 1/48 Bf-109v1 would be very much appreciated!! Review copy courtesy of Squadron Mail Order.